If you've got "enjoying some ramen" as a must-do item on that Japan bucket list, then you're in luck - there are eateries all over the country specializing in different varieties, from shio to shoyu, and miso to tonkotsu broths. Away from those four main styles of ramen though, there's a whole world of unique takes on this much loved dish. If you'll be in Tokyo and you want to shake up your ramen experience, here are three spots that will take your tastebuds on a fun journey! 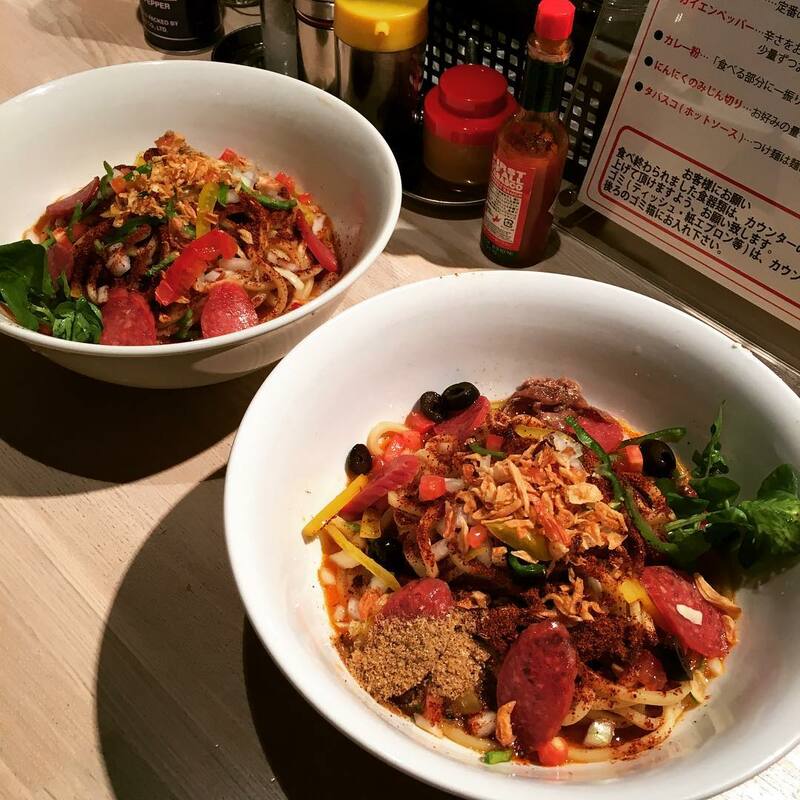 Located not far at all from Tokyo Skytree, Kipposhi has earned a name for itself with none other than a colorful take on ramen. 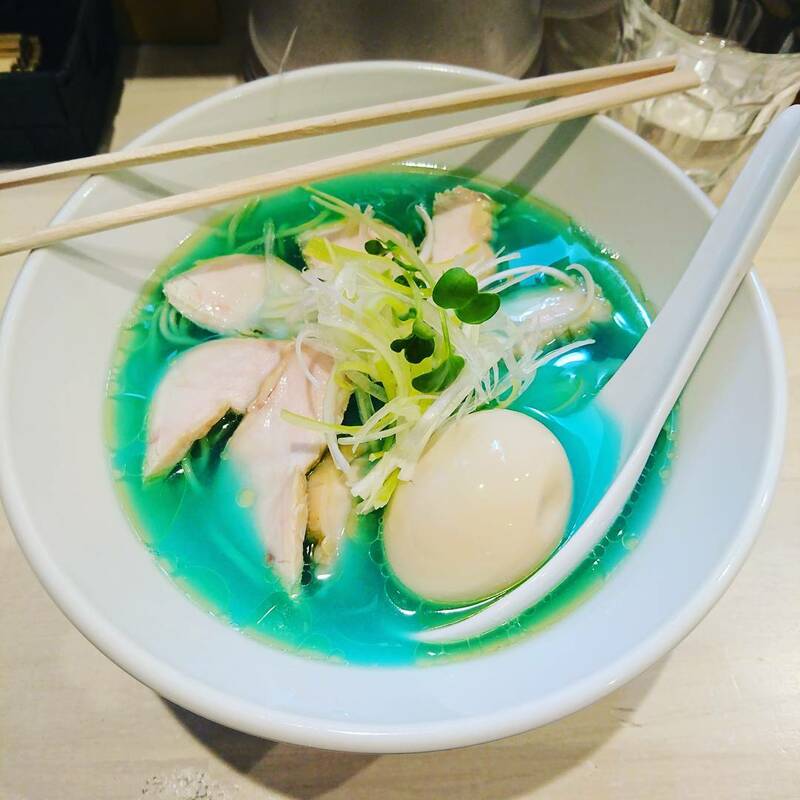 The soup base of their signature ramen dish tastes like chicken broth, but is said to get that distinctive blue hue from algae! Topped with a boiled egg and chicken, it's a hearty meal that also knocks it out of the park for quirkiness. Be sure to take a picture before you dig in! Fusion cuisine is something that has taken the world by storm in recent years, with all manner of fascinating combinations turning into tastebud sensations. At Kouno, there's a decidedly Mexican twist to a Japanese favorite. A shot of tequila, a wedge of lime, and topped with a generous helping of cilantro packs a flavor punch - and then there's the added kick of the chili powder on the char siu pork. Another nod to fusion cuisine takes place here at Ajito Ism, where they serve up none other than pizza ramen. Take cheese, pepperoni, tomato sauce, olives, green peppers, and a bunch of tasty Italian style seasonings, and you've got the perfect combination if you weren't sure if you were feeling Italian or Japanese for lunch or dinner (we've all been there). There are so many delicious spots to grab yourself a piping hot bowl of ramen across Japan - it's the perfect winter warmer for these cooler months. Whether or not you make it to any of these more unusual offerings, be sure to try a bowl somewhere - you won't regret it! Enjoy Japan, and Safe Travels! 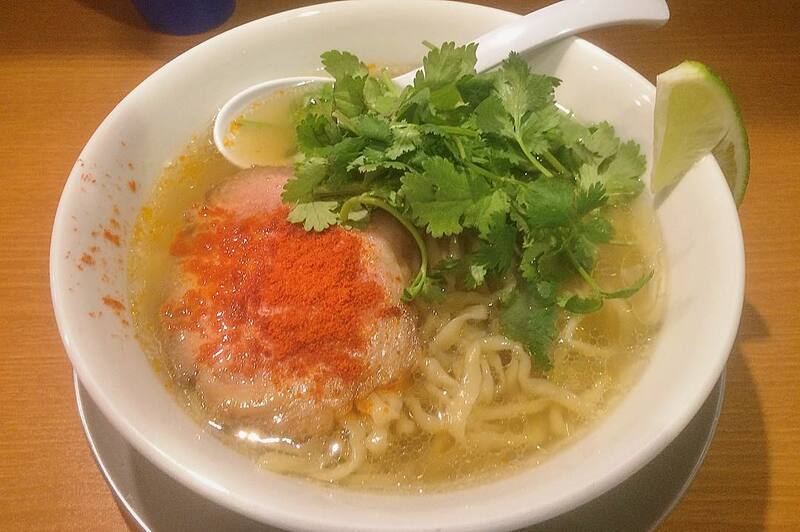 Ringer Hut: Your Quick and Easy Stop for Champon Ramen! This ramen and noodle chain is famous for its tantanmen, or spicy ramen with a meat sauce. The ramen is reasonably priced, with most meals falling under ¥1,000.